We definitely ate well at my bridal shower! Everything was so tasty and so thoughtful. 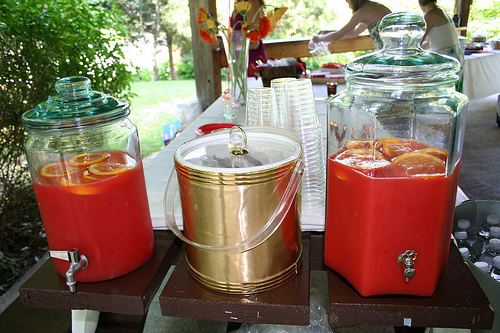 Continuing with the bridal shower/wedding color theme: red fruit punch with orange slices. So refreshing! And I just love the glass dispensers. 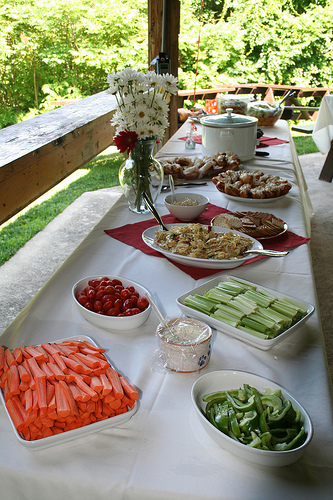 Super delicious food spread! The girls prepared everything the night before, including hand cutting all of the fruits and veggies. There were also mini pretzel sandwiches with turkey or chicken salad, meatballs, and pasta salad. 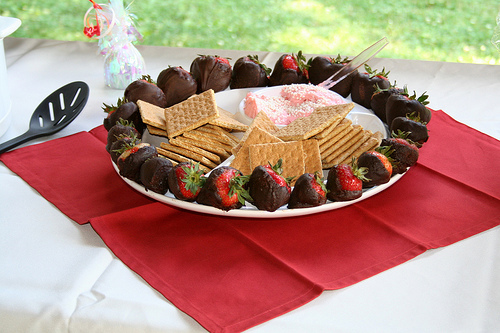 It’s no secret that strawberries are my favorite fruit, and so the girls chose to serve chocolate covered strawberries and strawberry cream cheese dip for graham crackers. Other sweets included tiramisu and scones. 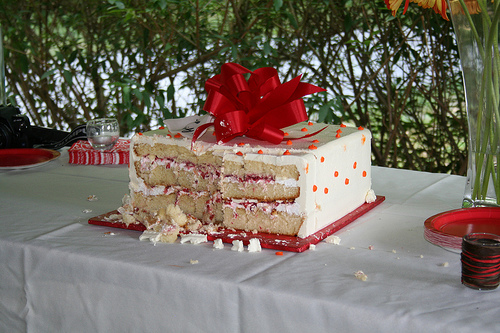 Of course it was filled with strawberries and cream, and the vanilla cake couldn’t have been more moist. 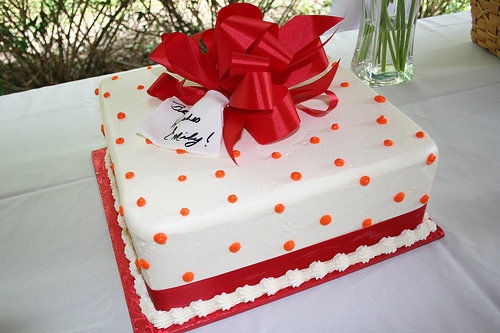 I’m craving a piece right now! mmmm that looks so good! 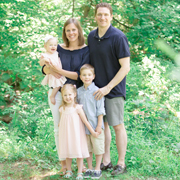 Looks like you had an awesome bridal shower!